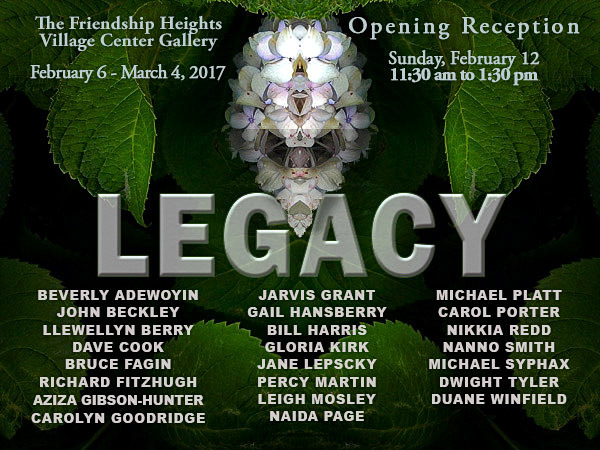 It’s my pleasure and honor to be a participant at the Friendship Gallery at Friendship Heights Village Center exhibit, Legacy, The 2017 African American Art Exhibit. The exhibition will be on display from February 6 until March 4, 2017. This group exhibit comprises a wide variety of art mediums encompassing painting, sculpture, printmaking and photography. These artists offer a visual narrative of African American experiences through their journeys in American history and American culture. Reflecting and interpreting aspects of contemporary life. You can view the digital version of the exhibition catalog here. I’m exhibiting five prints from my Botanicium series. All images are pigment prints using the Epson K3 Ultrachrome ink set. I used Red River Paper’s Arctic Polar Satin luster paper. This paper yields a very luxurious and luminescent image quality that I want when printing these particular images. You can view the series at my website by clicking on the link above.